Live in the UK? Buy a copy on Amazon here. Don’t live in any of the above but want a copy of the game? Get in touch, we’ll see what we can do. 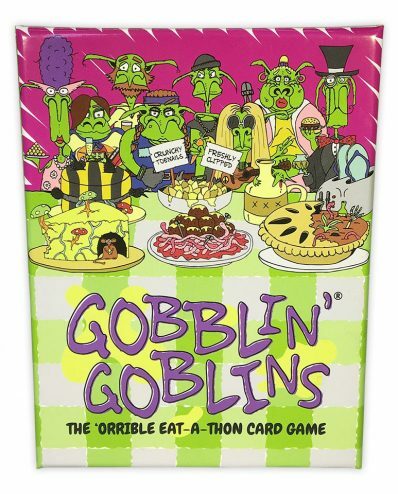 A card game where you must defeat your opponents by being the greediest goblin in a sneaky battle for gross gourmet food. If you like a bit of strategy, a bit of gross and a bit of a chuckle then you’ll be all over this like a goblin over a hot bucket of slime. 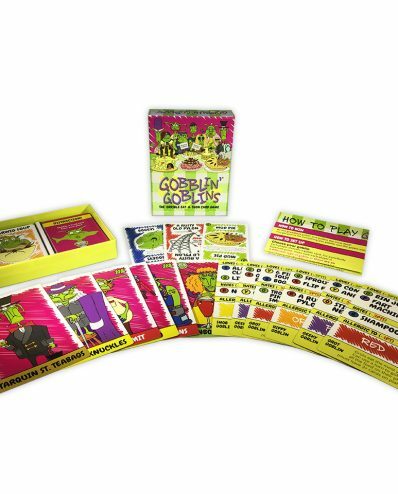 Gobblin’ Goblins is a card game where you must defeat your opponents by being the greediest goblin in a sneaky battle for gross gourmet food. 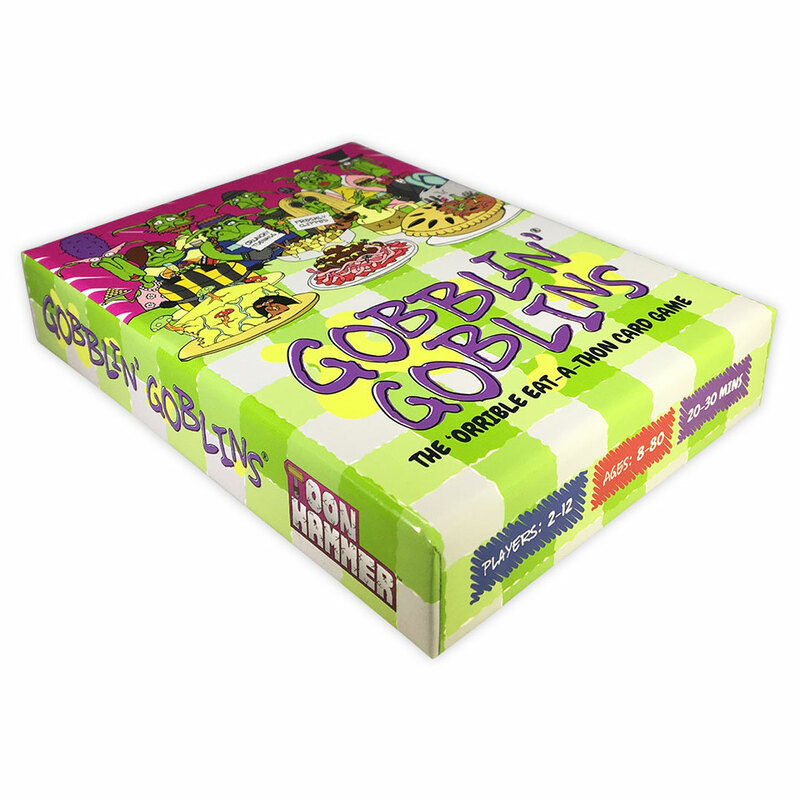 Using a simple play a card and pick up a card mechanic, players collect sets of coloured food cards in order to gobble them off their plate. 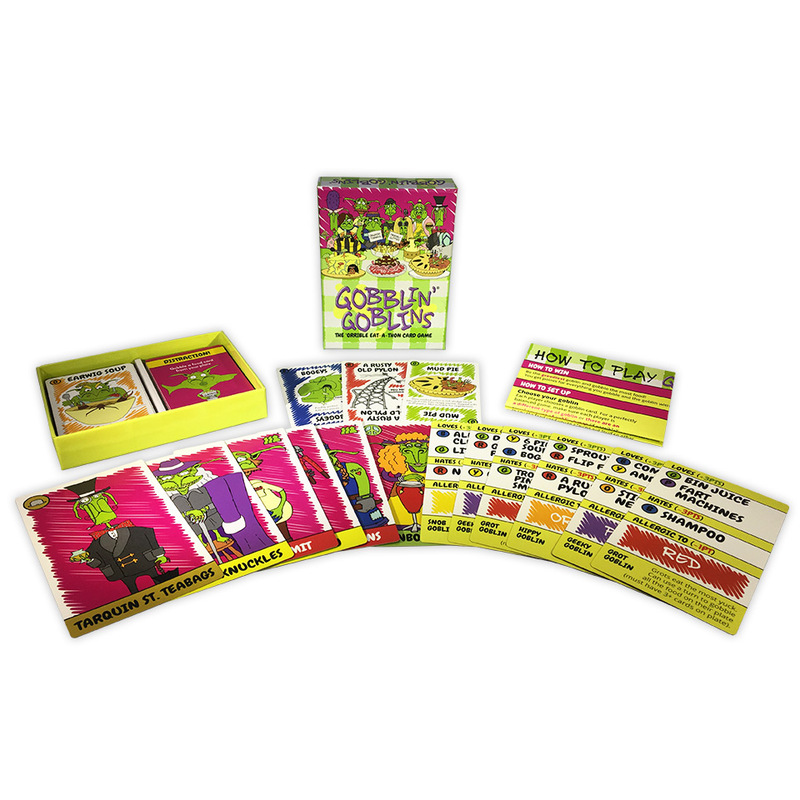 Action cards can be used to steal and swap food cards as well as causing rounds of vomiting and even explosive diarrhoea. Distraction cards can be played out of turn to hijack your opponents dining experience. Goblins gobble everything from mud pie to flip flops to rusty old pylons. Their stomachs are bottomless, however, each goblin has it’s own likes and dislikes as well as allergies. They also have their own special ability depending on their category. Gobbled unwanted food results in minus points and favourable food awards extra points. 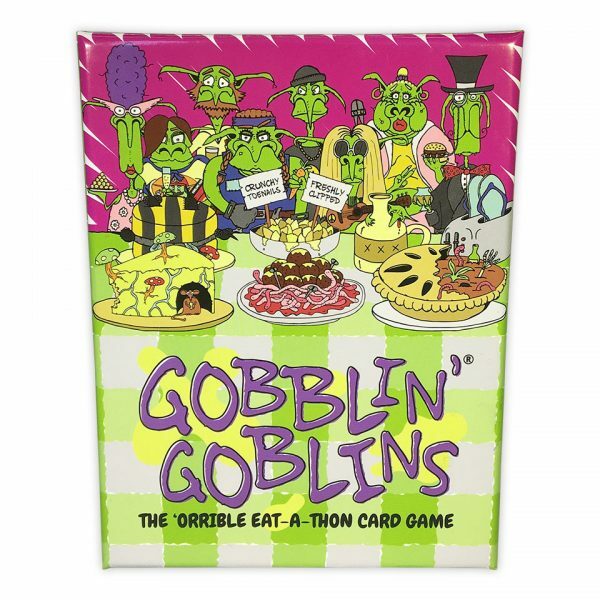 When all the cards are played, the goblin with the most points is the winner.